I am totally obsessing over this style of clothing right now and I don't even know what it is called. I have found it under the names faerie, bohemian, gothic, tribal, and shabby-chic. 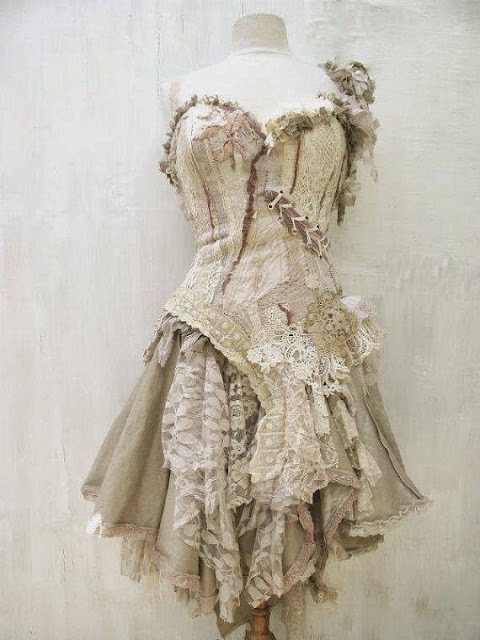 These artists take scraps of fabric and lace, usually recycled, and sew them into magical dresses. They are the perfect balance between ethereal and battle-worn. These dresses also remind me of this spring. Still full of little natural uprisings, but cold, like buds and unfurling leaves crusted in frost. I mean who thinks it's going to be in the 30's in the middle of May? Seriously. I want to plant my garden already! I would like to try and make something like this for myself, but I really have no idea where to start. Is there a name for this style? Do you know any other artists who make these mystical garments? Gorgeous! The first one is my fav. 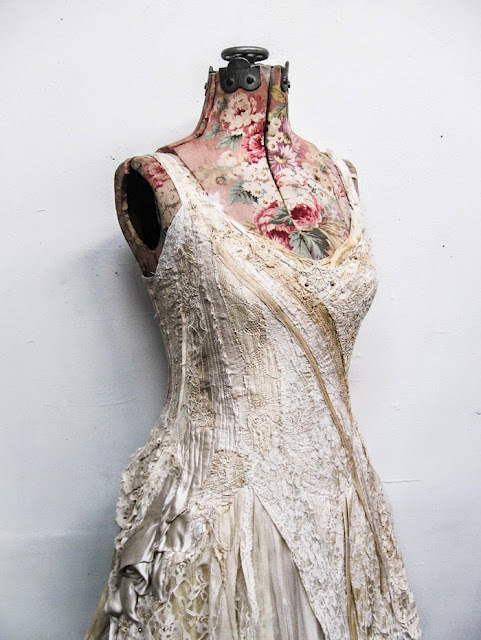 I bet you could make an amazing wedding dress with this concept. I know, right? I'm gonna have to start collecting bits of silk and lace.